Royce & Associates, the firm led by renowned value investor Chuck Royce (Trades, Portfolio), disclosed 80 new positions in its fourth-quarter 2018 portfolio, which was released earlier this month. Specializing in small-cap companies, the New York-based investment firm picks stocks using an active, bottom-up, risk-conscious and fundamental approach. It looks for value opportunities among companies that are trading at a discount to enterprise value. Based on these criteria, the firm's top five buys for the quarter were Huntsman Corp. (HUN), Axcelis Technologies Inc. (ACLS), LGI Homes Inc. (LGIH), WSFS Financial Corp. (WSFS) and Johnson Outdoors Inc. (JOUT). Having previously closed a position in Huntsman in the fourth quarter of 2017, the firm opened a new 1.7 million-share stake for an average price of $21.27 per share. The stake was given 0.30% space in the equity portfolio. 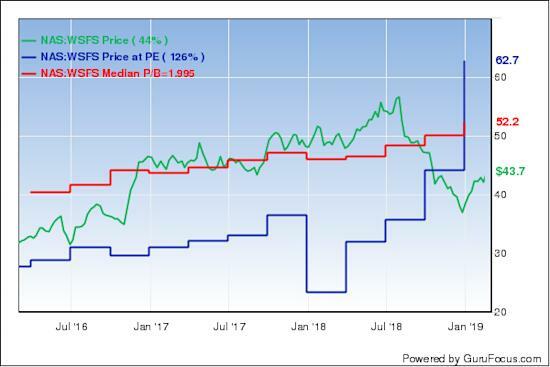 The Woodlands, Texas-based chemical company has a $5.87 billion market cap and an $8.08 billion enterprise value; its shares were trading around $25.14 on Thursday with a price-earnings ratio of 18.50, a price-book ratio of 2.28 and a price-sales ratio of 0.64. Huntsman's financial strength and profitability and growth were both rated 6 out of 10 by GuruFocus. Despite having sufficient interest coverage, the Altman Z-Score of 2.54 indicates the company is under some financial stress as a result of declining revenue per share over the last five years. The company is supported, however, by an expanding operating margin, strong returns and a Piotroski F-Score of 7, which means business conditions are healthy. The chemical manufacturer also has a business predictability rank of one out of five stars. According to GuruFocus, companies with this rank typically see their stocks gain an average of 1.1% per year. With its purchase of 0.72% of outstanding shares, Royce's firm is now the company's largest guru shareholder. First Eagle Investment (Trades, Portfolio), Lee Ainslie (Trades, Portfolio), Jim Simons (Trades, Portfolio)' Renaissance Technologies, Steven Cohen (Trades, Portfolio), Jeremy Grantham (Trades, Portfolio) , Mario Gabelli (Trades, Portfolio) and T Boone Pickens (Trades, Portfolio) also own the stock. After divesting Axcelis from the portfolio in the second quarter of 2017, the firm established a new 841,500-share holding for an average price of $17.74 per share. The trade expanded the equity portfolio 0.13%. 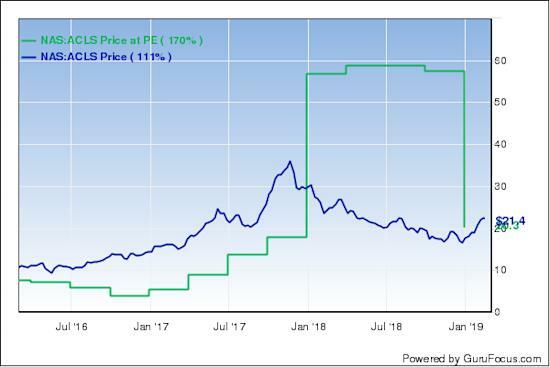 Headquartered in Beverly, Massachusetts, the company, which provides equipment for semiconductor manufacturing, has a market cap of $686.02 million and an enterprise value of $585.05 million; its shares were trading around $21.07 on Thursday with a price-earnings ratio of 15.62, a price-book ratio of 1.68 and a price-sales ratio of 1.58. GuruFocus rated Axcelis' financial strength 8 out of 10, driven by adequate interest coverage and a robust Altman Z-Score of 5.02, which suggests the company is in good fiscal health. The company's profitability and growth scored a 6 out of 10 rating, boosted by strong margins and returns, a moderate Piotroski F-Score of 5, which indicates operations are stable, and a one-star business predictability rank. Of the gurus invested in Axcelis, PRIMECAP Management (Trades, Portfolio) has the largest stake with 9.07% of outstanding shares. Simons' firm is also a shareholder. 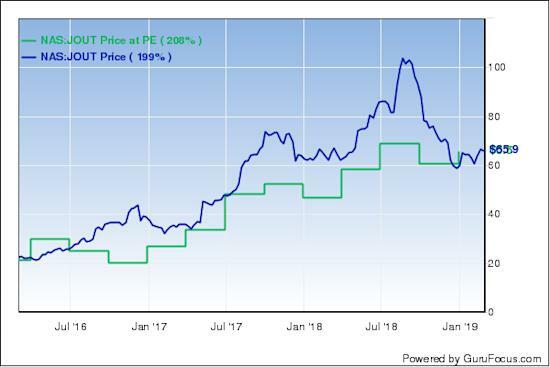 The firm invested in 243,292 shares of LGI Homes for an average price of $42.16 per share, dedicating 0.10% of the equity portfolio to the position. 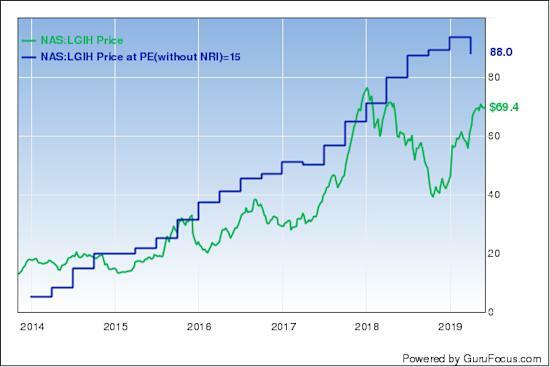 The Texas-based homebuilder has a $1.34 billion market cap and a $1.95 billion enterprise value; its shares were trading around $59.16 on Thursday with a price-earnings ratio of 9.56, a price-book ratio of 2.31 and a price-sales ratio of 0.99. LGI's financial strength was rated 5 out of 10 by GuruFocus. Although the company has issued approximately $346.5 million in new long-term debt over the last three years, it is at a manageable level. In addition, the Altman Z-Score of 4.27 suggests the company is in good standing financially. The company's profitability and growth fared a bit better with a 7 out of 10 rating. While the margins and returns outperform competitors, its revenue per share has slowed over the past 12 months. The company also has a moderate Piotroski F-Score of 4. Ken Heebner (Trades, Portfolio) is the company's largest guru shareholder with 1.41% of outstanding shares. Other gurus with positions in the stock are Cohen, Hotchkis & Wiley and Joel Greenblatt (Trades, Portfolio). Royce's firm picked up 304,980 shares of WSFS Financial for an average price of $41.88 per share, allocating 0.10% of the equity portfolio to the holding. The bank holding company, which is headquartered in Wilmington, Delaware, has a market cap of $1.37 billion and an enterprise value of $167.29 million; its shares were trading around $43.75 on Thursday with a price-earnings ratio of 10.43, a price-book ratio of 1.69 and a price-sales ratio of 3.77. The Peter Lynch and median price-book chart suggests the stock is undervalued. WSFS Financial's financial strength and profitability and growth were both rated 4 out of 10 by GuruFocus. While the company's cash-debt ratio underperforms industry peers, its margins and returns are outperforming. The company is also strengthened by a one-star business predictability rank. With 4% of outstanding shares, Simons' firm is the bank's largest guru shareholder. Richard Pzena (Trades, Portfolio) also owns the stock. The investment firm purchased 141,669 shares of Johnson Outdoors for an average price of $71.18 per share, giving it 0.07% space in the equity portfolio. The firm previously sold out of the stock in the fourth quarter of 2015. 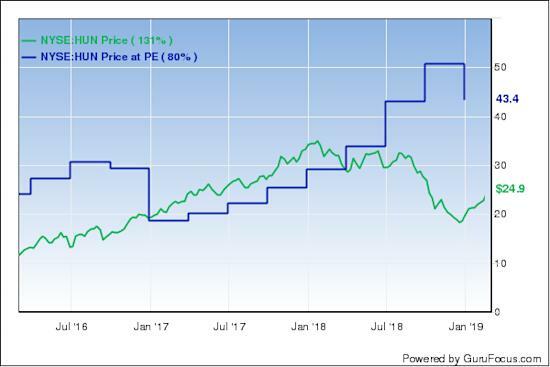 The Racine, Wisconsin-based manufacturer of outdoor recreational products has a $656.55 million market cap and a $552.34 million enterprise value; its shares were trading around $65.59 on Thursday with a price-earnings ratio of 14.96, a price-book ratio of2.34 and a price-sales ratio of 1.23. As a result of having no long-term debt and comfortable interest coverage, Johnson Outdoors' financial strength was rated 9 out of 10 by GuruFocus. In addition, the robust Altman Z-Score of 6.8 indicates the company is in good fiscal health. The company's profitability and growth scored a 7 out of 10 rating, boosted by operating margin expansion, strong returns, a high Piotroski F-Score of 7 and a one-star business predictability rank. Of the gurus invested in Johnson Outdoors, Simons' firm has the largest holding with 3.26% of outstanding shares. Grantham is also a shareholder. Other new positions established during the quarter included Frontdoor Inc. (FTDR), Diplomat Pharmacy Inc. (DPLO), Iamgold Corp. (IAG), Power Solutions International Inc. (PSIX) and The Descartes Systems Group Inc. (DSGX). To see all of the firm's new holdings, go here. Royce's $11.15 billion equity portfolio, which is composed of 1,143 stocks, is largely invested in the industrial and technology sectors. As previously announced, Royce will be the keynote speaker at the 2019 GuruFocus Value Conference in Omaha, Nebraska in May. Get your tickets today! Royce Funds Commentary: Interpreting 2018's Decline: Recession or Risk Reset?